Do you think that your office is too cramped? Or may be you want to move it to a better area where more people will have access to it? Then the solution is only one – you must change it! It sounds as easy as pie but, actually, you have to consider a lot of things before moving out. 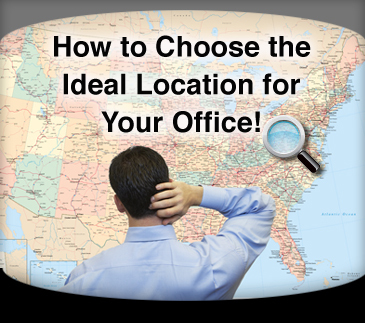 Here you’ll discover a couple of helpful tips that would ease your office relocation. There is nothing more important that selecting the right place for your office. Every good businessman knows very well that proper location is essential and it can affect your profit a lot. That’s why you choose carefully! Next step is plan step by step your office removals London. Select a date for moving day and make a list with people who should be informed about your new address. Probably the best time to transport your stuff is weekend or official holidays. Well, probably you’ll have to give some extra cash in such a case but it’s worth because it will affect your business less. After that it’s time to organize your employees. Will they give a hand during relocation? Then each one should know very well what are his/her responsibilities. That will reduce stress and they won’t be in each other’s way. But no matter whether they’ll help or not, they must take care of their personal belonging by themselves. Of course, you shouldn’t forget that one of your main tasks should be discovering a good cheap removals London company. But bear in mind that money is not everything – the quality of provided services should be leading for your choice. In the end, if you can rely on a proper moving crew, everything will be fine.